We can repair your old furniture and make it look like it's fresh off the sales floor. 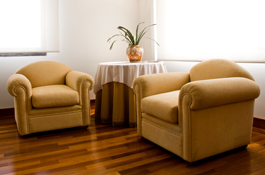 We replace any torn upholstery and repair any structural damage done to the interior of your furniture. When you have a style you want in your home or business, but can't find it, put your trust in us. We will create your vision into a stylish and personalized masterpiece. 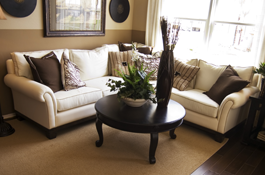 Bring out a wonderful flair with custom-made decorative pillows. Our designs are perfect for pillows of varying sizes and utilities, such as throw pillows, bedroom pillows, and more. with any of our custom design meetings. Before UPHOLSTERY by Willie Davidson came into existence, our owner had taken part in an upholstery class with a tutor. Everything that we know was taught during the apprenticeship at the workshop in Charlotte, North Carolina. For over 15 years, he worked his way through shops doing odd jobs along the way. Upon moving to Indiana, our owner decided to go into business for himself. We've been going strong for over 20 years now, with skills backed by over 45 years of experience. All of our work is guaranteed to satisfy. 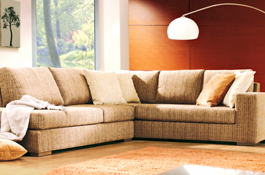 Our upholstery services are loved by our clients due to us working closely with them when fixing their furniture. We want our clients to be completely satisfied, so we work with your every concern, correction, and request. Though we do what we can to make our customers happy, there are some limitations to our work, such as us not being able to copy furniture pieces perfectly. We can, however, come close to matching designs to keep our customers happy.